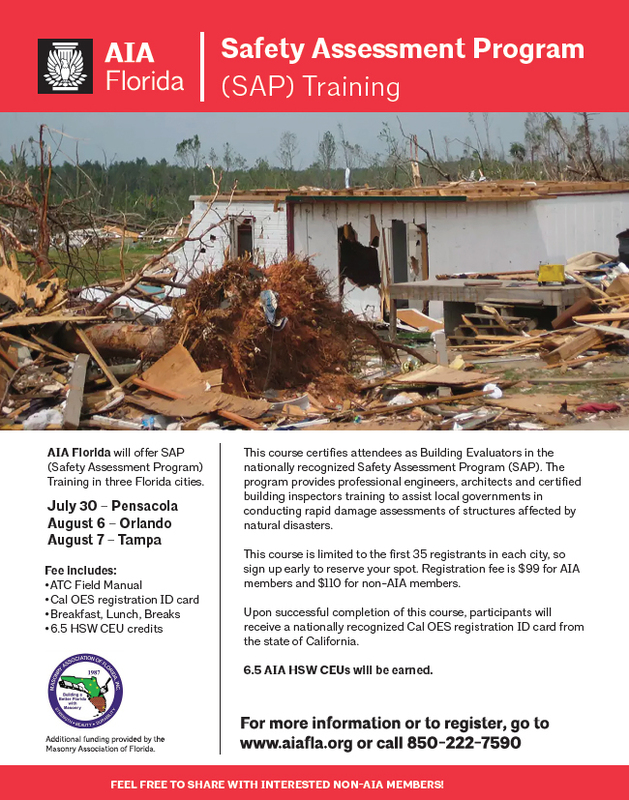 This course certifies attendees as Building Evaluators in the nationally-recognized California Safety Assessment Program (SAP). The program provides professional engineers, architects, and certified building inspectors training to assist local governments in conducting rapid damage assessments of structures affected by natural disasters. This course is limited to the first 35 registrants. Sign up early to reserve your spot. The registration fee is $99 for AIA members and $110 for non-AIA members. Upon successful completion of this course, participants will receive a nationally recognized Cal OES registration ID card from the state of California.